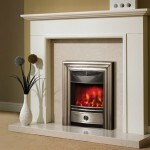 Fireplaces Birmingham – Looking for something more substantial than just a simple fire? We’ve got you cover. 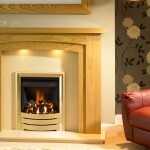 York Fireplaces carries an extensive range of fireplaces, certain to suit any style of home. Whether you’re looking for a wooden mantelpiece to remind you of the one your parents had as a kid, or a ultra modern marble piece, you’re sure to find it here. 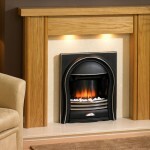 Choose from the following materials – Cast Iron, Limestone, Marble & Granite, and Wood. Our entire range is available online, but if you want to get up close and personal with our range, feel free to come down to our Birmingham showroom. A vintage throwback to the days of large, ornate cast iron fireplaces, these metal marvels won’t have a problem turning heads or attracting admiring glances. 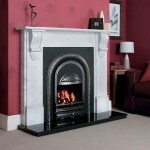 Here at York Fireplaces, we have three distinct styles to choose from when it comes to cast iron fireplaces. 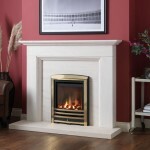 Our Arch range features fireplaces surrounded by beautifully manufactured archways. The Basket range includes both old school basket fires, and “out there” spins on the classic set up. And for those looking for something beautifully ornate, we have our Tiled range. Whatever you choose, you’ll be getting a quality product that can act as the centre piece of whatever room you choose to put it in. Formed over millions of years, this sedimentary rock can now sit in your living room, sculpted into an impressive, charming limestone fireplace. 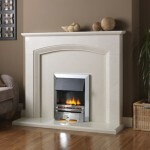 A stunning white centrepiece to any room, a limestone fireplace not only holds a room together, but can brighten it up as well! It can be just the thing to bring a little light into your home. 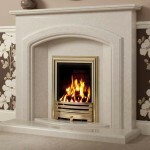 All of our limestone fireplaces are top of line in terms of quality. 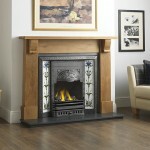 Choose from the modern Drayton model, the more traditional Kingsford model, or the ornate Harvington model. 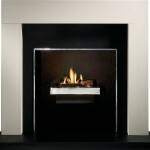 Available for viewing both here on the website and in our Birmingham showroom. Marble floors, granite work surfaces – few things are as instantly recognisable as these versatile materials. 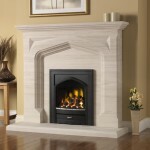 Now you can compliment your home with a marble or granite fireplace. 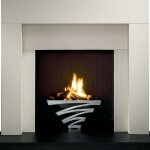 Just as beautiful as they are strong and durable, they really are all things to all fireplace owners. 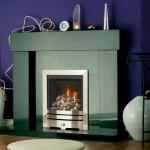 York fireplaces have a wide variety of models to choose from, covering all manner of sizes, shapes and styles. You really will have a difficult time finding a better range than what we offer here. 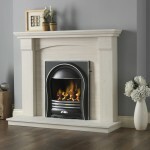 Check out the range here on our website, or come on down to our Birmingham showroom to see these tough yet stylish fireplaces for yourself. A traditional accompanying mantle piece for fires the world over, there are few things more iconic and comforting than a grand wooden fireplace. Our range covers a wide variety of styles, including a broad range of colours, as well as shapes, ranging from simplistic cuts of wood to more intricate designs. 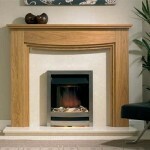 We at York Fireplaces believe we have enough fireplaces to satisfy whatever you are looking for. 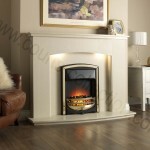 Choose from the models on here or from many more when you visit our Birmingham based showroom. 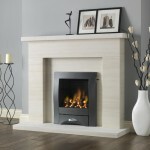 Our expert staff have the know-how to get you the fireplace of your dreams, so come on down and chat to them today!